The characteristics of a nation’s institutions have long been regarded as fundamental to national development. Appropriately designed public institutions are increasingly seen as key to prosperity (North 1990, Finer 1999, Acemoglu et al. 2005, World Bank 2017). But who are the people that work in these institutions? What is their experience of being a public official in a developing country? In recent research, I brought together surveys of civil servants – the professional body of administrators who manage government policy – from across the developing world to provide micro-evidence on life inside government (Rogger 2017). The organisations and individuals that make up public institutions have recently been the subject of increasingly rigorous empirical investigation (Iyer and Mani 2012, Dal Bo et al. 2013, Bertrand et al. 2015, Finan et al. forthcoming). So far there is not, however, a broad or ‘thick’ description of these organisations and officials based on rigorous data. 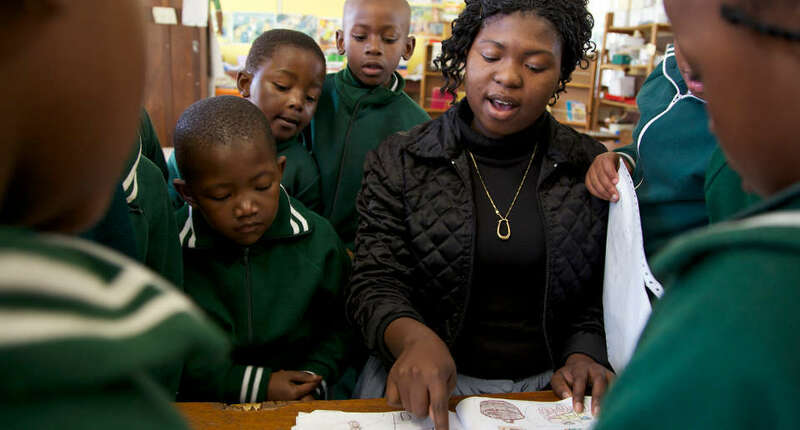 Recent efforts to survey a large number of civil servants in a few bureaucracies have provided an opportunity to start building a picture of the ways in which officials in poor countries work. My research has combined direct surveys of 13,591 civil servants and their 204 organisations from Ethiopia, Ghana, Indonesia, Nigeria, Pakistan and the Philippines, to highlight the key aspects of what they are like, and their experience of civil service life. In contrast to the stereotype that the public service is unified in its routine, the surveys in every country show it to be diverse in key characteristics of public administration, from access to physical capital to the extent of political interference in the daily work of the service. While some local governments have regular internet access and computers for most of the staff, others don’t even have electricity. In some countries politicians rarely disturb their bureaucratic colleagues, but in other countries political interference is common. Management practices in Nigeria illustrate this. I followed the World Management Survey methodology [http://worldmanagementsurvey.org/] to measure the quality of management at 94 organisations across the three tiers of Nigeria’s government. 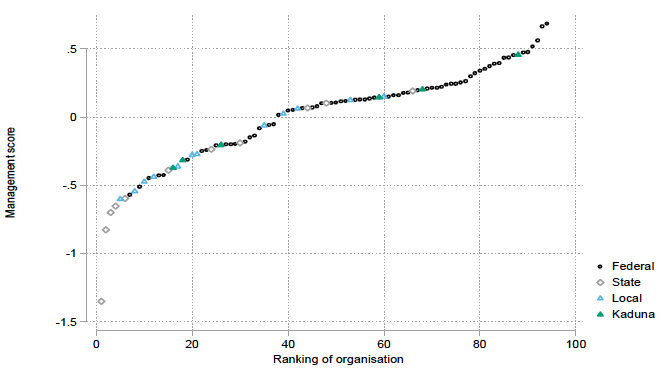 Figure 1 is a scatterplot of the aggregate scores across these organisations, showing real differences in management activities. Organisations at the bottom monitor their performance only when a new President is sworn in, while those at the top do so on a weekly or daily basis. Variation in the civil service is often apparent within small neighbourhoods of a few public officials or organisations. Civil servants within the same division may use different ways to further their careers. Some rely on their performance to move them up, and others ‘hustle’ for positions through their networks. Returning to Figure 1, we can see the local nature of variation in management. The triangles represent local governments that were surveyed. The green filled triangles represent local governments in Kaduna state, oversampled to assess the extent of variation in the public sector of a single state. We see that Kaduna’s local governments range from the 90th to the 10th percentile of management quality in the country. This diversity is represented in other features of Kaduna’s local governments. The number of hours of electricity available during a typical working day goes from zero in one local government to continuously available in another. Similarly, the percentage of officers with access to a computer varies almost uniformly throughout the distribution from 0% to 60%. Half the organisations have zero access to the internet, and the other half at least 15 hours a day. This illustrates the degree of heterogeneity within a single state. The vast majority of public officials have a long association with their organisation. The average civil servants in our data enter the service in their mid-twenties, spend a couple of years in an organisation, and then transfer to the organisation in which they spend more than a decade, if not more. Only a small minority of civil servants migrate across organisations in the service. This stagnation contrasts to the variety of posts held by AIS officers or other high-flyers. Although federal ministries are literally across the road from each other in many cases, the ministry an official ends up in plays a substantial role in the quality of his or her working life. The experience of working at an organisation in the bottom quartile of management quality in Figure 1 would be very different to that of working at one what was in the top quartile. The surveys also imply that the organisation is a key determinant of job satisfaction. Civil servants enjoy employment protection, to guard them from political interference. Consistent with these protections, civil servants spend much of their working life in the civil service. As Figure 2 describes, the mean civil servant has spent three-quarters of his or her working life in the civil service, and 65% in the same organisation. Though pay and performance-linked bonuses may be a factor in civil servant performance, other forces create incentives within the bureaucracy. Comparing across different questions on pay, we could correlate the extent to which satisfaction with the public sector is driven by satisfaction with wages. Within country, the correlation is surprisingly low: 0.20 in Ghana, 0.18 in Indonesia, 0.24 in Nigeria and 0.05 in Pakistan. These are large enough to be significant (positive) predictors of overall job satisfaction. This supports evidence from experiments such as Dal Bo et al. (2013) and Ashraf et al. (2015) that suggest high wages are an important part of the motivation to work in the public sector. However, this leaves the vast majority of job satisfaction unexplained. The surveys imply that other factors are more important. For example, the extent to which civil servants believe they are working within a well-functioning organisation is more predictive of satisfaction than income in all of the surveys. 'Thick' descriptions of the civil service from this first round of surveys of civil servants provide details of the context in which specific reforms occur. As we develop the next generation of reforms, surveys and experiments, we should aim to embed our insights in the wider context of the world that public officials inhabit. Acemoglu, D, S Johnson and J A Robinson (2005), “Institutions as a Fundamental Cause of Long-Run Growth” Chapter 6 of Aghion, P And S N Durlauf (2005), Handbook of Economic Growth, Volume IA, Amsterdam: Elsevier. Ashraf, N, O Bandiera and S Lee (2015), “Do-Gooders and Go-Getters: Career Incentives, Selection, and Performance in Public Service Delivery,” HBS Working Paper. Bertrand, M, R Burgess, A Chawla and G Xu (2015), “Determinants and Consequences of Bureaucrat Effectiveness: Evidence from the Indian Administrative Service”, unpublished Mimeo. Dal Bo, E, F Finan and M A Rossi (2013), “Strengthening State Capabilities: The Role of Financial Incentives in the Call to Public Service,” Quarterly Journal of Economics 128: 1169-1218. Finan, F, B Olken and R Pande (forthcoming), “The Personnel Economics of the State”, Handbook of Field Experiments. Iyer, L And A Mani (2012), “Traveling Agents: Political Change and Bureaucratic Turnover in India,” Review of Economics and Statistics 94: 723-739. North, D C (1990), Institutions, Institutional Change, and Economic Performance, New York: Cambridge University Press, New York.